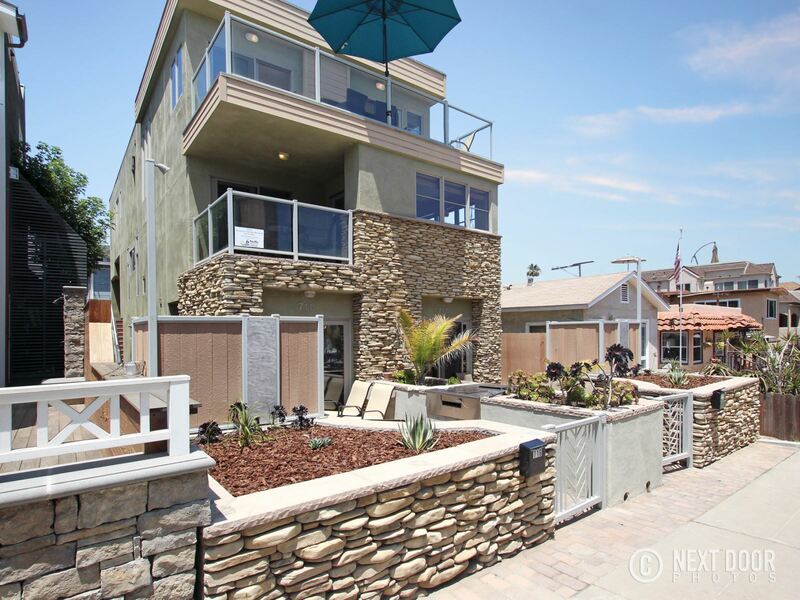 Ocean Mist II is an ocean court town home with 3 bedrooms, 2.5 baths, and direct entry 2-car tandem garage. 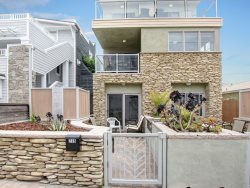 Being just two doors down from the ocean, and on the second floor, this home has great water views. You can enjoy your morning coffee on the ocean facing deck while watching the waves. The floor plan of Ocean Mist II is truly unique. This property occupies half of the first floor and the entire second floor with both an interior and exterior stairwell for access. The second floor living space features the kitchen, living room, dining area, private laundry, 2 bedrooms, and 2 full bathrooms. The living and dining areas have direct access to the ocean facing deck. There is dining room inside fit for 6 persons and a dining area outside to enjoy the sunset that sits 4 persons. Ocean Mist II has a fresh and modern look with all new wood grain tile and new carpet in the bedrooms, alder wood cabinets in the kitchen, lots of natural light and beach themed colors sprinkled throughout the home. Amenities include a full-size stacked washer & dryer, cable TV, WIFI, central heat and air. There are also flat screen TV’s and a fully equipped kitchen with extra cupboard space. Everything that you need in your home away from home. The main floor boasts a master bedroom with a king-size bed and private bathroom, and the second bedroom hosts a queen-size bed, a balcony and bathroom across the hall. The third bedroom is on the ground floor with a full/twin bunk combo, a half bath, and sliding doors that open to the ground floor patio. Planning a family reunion or larger group trip? Both 716 Island Court (Ocean Mist I) and 718 Island Court (Ocean Mist II) can be rented together to create one large living space for an occupancy up to 15. We call this Ocean Mist III. Ocean Mist III has a shared 4 car garage with designated tandem spaces to park 2 cars each. This combo of two beautiful properties, right next to each other, is the perfect for big families, birthday celebrations, anniversaries, and any other special occasion. If you have any questions about Ocean Mist II, please feel free to email or call us. We're always here to guarantee your vacation in San Diego goes as smoothly as possible. Denise was a fantastic host. Was very responsive to any and all questions we had (even in regards to how big the garage was!) The home was absolutely beautiful and well appointed. You can tell that it had recently been updated and it had absolutely everything you could need in the kitchen. The location was ideal for us as it was extremely close to the beach but not quite on the boardwalk. Which, again, was ideal for us as we didn't want to deal with the noise and commotion of the boardwalk. Would recommend this property to friends in a heartbeat!! Look forward to booking it again for next year!! August 3, 2014 A large group of us (2 families) stayed in #2 Ocean Front Walk on Mission Beach for 5 days in early June, 2014. We really enjoyed ourselves.... wished we had been able to rent for the whole week but appreciated them squeezing us in for the 5 available days. The house was gorgeous and the views were amazing - sunsets were free and daily! We liked being close enough to walk or bike to almost anything we needed. The house was very clean and there were plenty of linens available.